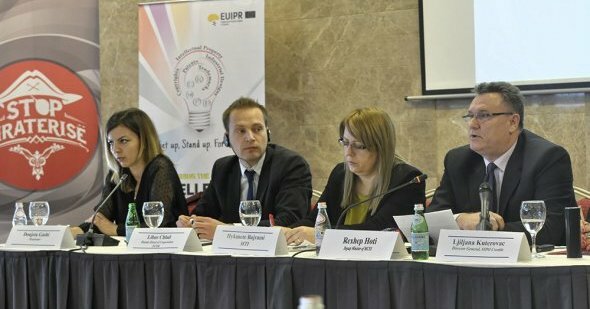 What are the institutions composing the Task Force?Copyright and Related Rights Office, the Kosovo Police, Market Inspectorate, Ministry of Justice, Kosovo Customs and Industrial Property Office. Who is in pursuit of piracy?In pursuit of piracy is the Task Force which was established by the Government of the Republic of Kosovo on 30 January 2013. 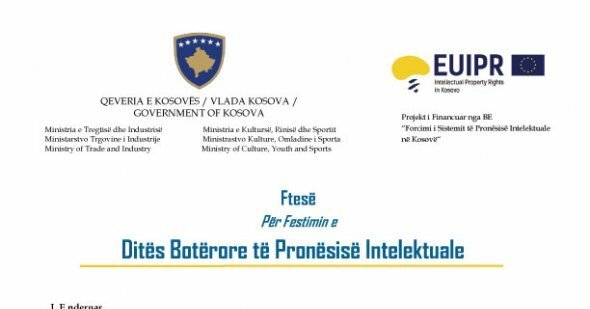 Information and awareness campaign - Within its own activity, the office is obliged to inform the public about copyright and related rights, and to this purpose was realized the official campaign, which was opened on 23 April 2012 by the Minister of Culture, Youth and Sports, Mr. Memli Krasniqi, under the motto "Kosovo Protects the Author". This campaign was conducted with various activities, namely through leaflets with questions and answers about copyright and related rights, audio-visual commercials realized on the national television RTK, internet news portals and audio advertisements on national radios. Moreover, within the campaign, various meetings with artists and other right holders were conducted, as well as a lecture was given to young people. As part of the awareness campaign, the two-day conference was held on 5 and 6 June 2012, on "Collective Management of Copyright and Piracy". Keynote speakers at the conference were experts of the field, from Slovenia, Hungary and Brussels. The conference has been attended by a huge number of participants from the country's creative community. Within the organization of awareness campaigns, starting from 15 June 2013, a campaign was conducted under the slogan "Stop Piracy". As part of this campaign, a one-day conference has been conducted, and it was attended by institutions whose activity is related to the field of intellectual property, collective associations for administration of copyright, and a large number of artists and businesses. 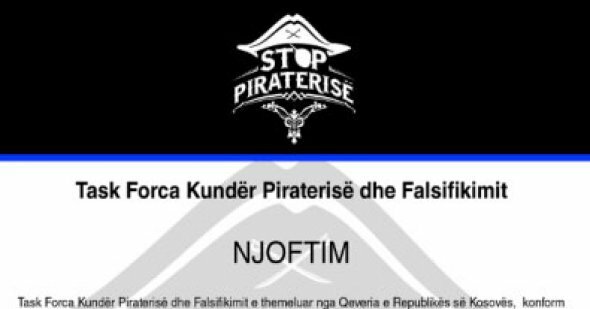 In order to inform all citizens of the Republic of Kosovo, Anti-Piracy Task Force has published a notice in all print and electronic media, where has notified all persons who make the production, distribution, sale or placement online, of the products which contain material protected by copyright, that are required to obtain the relevant contracts and authorization from the rights holders. By this announcement, all citizens were informed about actions that were going to be taken by the Task Force. anti-piracy Task Force and the Copyright Office have been published. These brochures were distributed everywhere, especially at the sale points of materials protected by copyright. Also, in the framework of the campaign, it was also produced a video-announcement which was broadcasted on several television and information portals. copyright and related rights is to increase knowledge of copyright holders, copyright users and in general public opinion regarding the importance of respecting copyright and combating piracy in the Republic of Kosovo. Target of this campaign are: universities, photocopy centers, copyright and related rights users (Televisions, radios) as well as libraries. So far, the Copyright Office has undertaken a number of activities that purport to establish a functioning system of copyright. 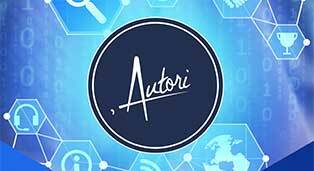 It is planned that with the implementation of projected activities, the system of copyright in the Republic of Kosovo can be further strengthened.